How do you search Google? If you’re like me, you type search terms into the Google machine and hope for the best. What if I told you there’s a better way? This post includes three simple steps to refine your search technique in hopes of finding that perfect source. Let’s say you’re an English teacher about to introduce Jane Austen’s Pride and Prejudice to your students and you need some resources on the author. Like me, you probably would start your search by typing “Jane Austen” into Google and then begin searching through the first few pages looking for a useful, reputable source. However, over 2.8 million results is a lot to cull and could be A BIG WASTE OF TIME! Here are three tips to get what you need in less time. I’m glad I did that, because the fifth link down on the Google search page is a fabulous resource from Harvard University Press with a host of reputable links about Jane Austen including a Jane Austen blog and a website with digital scans of all the 1100 pages of fiction we know about that was written in Austen’s own hand. I don’t think I would have found this resource searching Google in the traditional way. This search turned up many interesting results I might never have found. 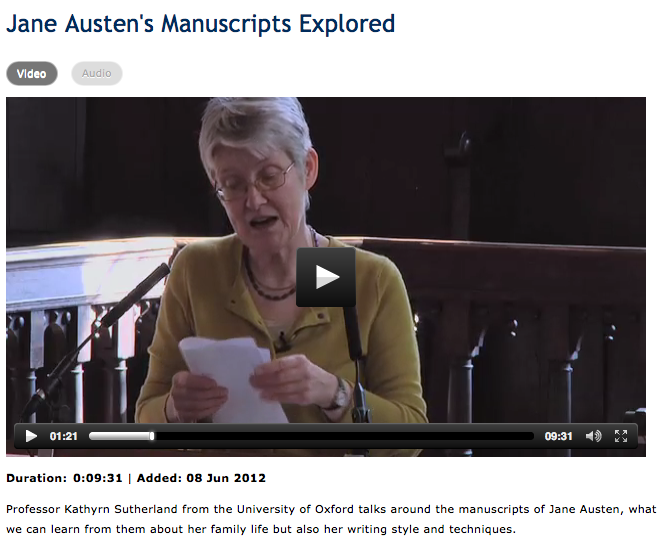 On the first page of results I found a collection of Jane Austen lectures from professors at the University of Oxford I could use to flip part of my introductory presentation to students. Wow, that still turned up over 1300 results. That’s too many. I’m going to combine my file type search with a site operator by typing this: Jane Austen filetype:ppt site:.edu to limit my search to just Jane Austen PowerPoints from colleges. So easy! My search was reduced to 150 results. On the first page I found a fabulous PowerPoint from the State College of Florida packed with information about the author and other nineteenth-century female writers. I also found a PowerPoint presentation on an interesting manor project that students in Baltimore County Public Schools complete. Just by limiting the search using file type and a site operator, I found amazing resources in virtually no time at all. These hints are helpful for teachers but can be even more helpful and powerful for students. Imagine having students pick from a few presentations found online and having them use those resources to find the best information and create their own presentation to give to classmates. Or, having students research a topic in history class from the perspectives of writers from different countries. Simple search operators can turn a traditional Google search into a student-centered research task where students can find information from multiple countries and use their enhanced digital literacy to select only the best resources for a presentation or to create a collaborative online textbook. Using operators in Google can refine Internet searching so amazing resources are only a click away. And on the first page of results–not page 4,327. Note: Typing a period after the colon is optional when using operators. For example, site:.edu and site:edu will return the same results. Another note: From your Google homepage, click on settings (located in the bottom right corner of the search home screen and click on “advanced search.” This will take you to Google Advanced Search where the operators written about here can also be found.